The ideal blogging platform for your next story. For Scribe, serving a blogpost is just a beginning. It welcomes you to look around. It loads content in advance, so you can always experience instant transitions. Riding a subway? Not a problem, by the time you lose connection your next story is already loaded. With smart content loading, it is stable even on unstable connections. If your connection drops, you will never be staring at white screen. And the longer you browse, the faster it is. Scribe is a web application under the hood. Therefore upon clicking a link, it is updating only the parts of the screen that truly change. This results in quick or even instant transitions. We care deeply about supporting various devices. 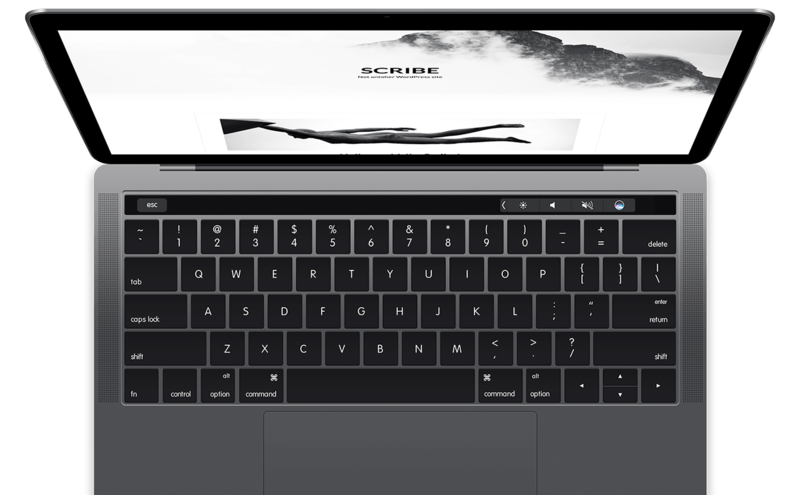 Scribe is supposed to work on all screen sizes, be it a phone in portait or landscape mode, tablet or even a resized desktop browser window. Animations in Scribe serve mostly as a guidance. They try to create a natural, fluid movement. A story that explains what is happening, or what has happened. Scribe's technology allows efficiently to load content in advance. That mostly means loading the articles and pages user is likely to visit next. This way, you can keep browsing even if you suddenly lose your connection. Any change in a customizer should be self-explanatory. Anything you change is propagated to the theme preview in real time so you can always understand what are you doing before saving changes. We constatly try to improve both experience of the end users and also admins maintaining the theme. Who is Scribe primarily for? 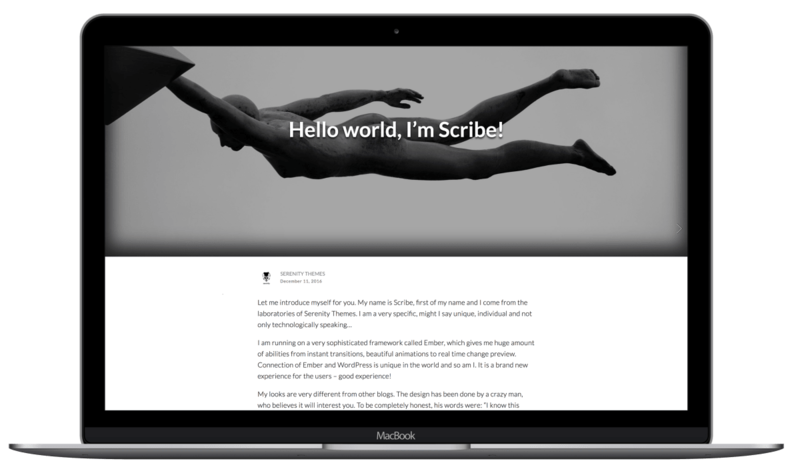 Scribe is focused to be mostly a blogging theme. Therefore it is an ideal solution for a personal blog, a journal, photography blog or even a company blog. It does not try to be anything more. It strives for speed and simplicity. How can Scribe be customized? Customization of Scribe works fully via WordPress customizer therefore you can see changes being propagated live before you save. Currently it is possible to change colors, hide and show different parts of layout, disable animations, configure images and texts. 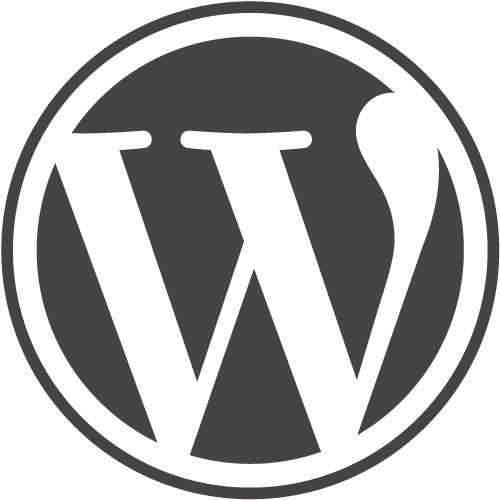 Can I use Scribe on my existing WordPress site? It depends on which plugins do you use and what are your requirements (see questions below for more information). Feel free to contact us if you are unsure if Scribe will work for you. Can Scribe be used directly on WordPress.com? We do not currently have Scribe on WordPress markeplace and it has to be installed via file upload, but we will look into this soon. What can't be done with Scribe? Scribe, being created on modern technology does not so far have the flexibility of older themes. It does not support many plugins and integrations because it is fundamentally different. See feature list and roadmap above for more detail. What kind of plugins Scribe supports? Scribe works correctly with plugins that function purely on the server side. But any plugins that try to render content or inject extra scripts to the front side of the theme won't work correctly or just won't work at all. Can I write code to extend the theme? You can easily write your own CSS rules to adjust looks and behavior of the theme. Writing your own PHP and JS to alter the behaviour is problematic due to the dynamic nature of the theme. We plan to increase support for external scripts in the future and document it thoroughly.